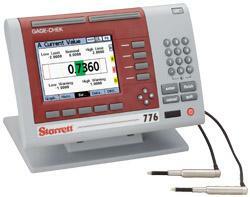 The GAGE-CHEK™ 776 is a multi-axis, measured value display that accepts up to eight inputs. 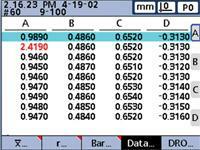 It features intuitive visual display, helpful audio cues and user-defined formulas. 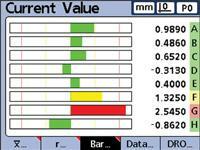 Gage-Chek also reports dynamic Min/Max measurements, provides SPC analysis from an integrated database, and includes connectivity to PC's and other Starrett tools. 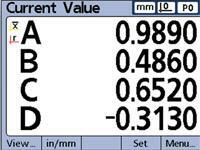 Base Width (WxHxD): 10"x2"x .5"
Inputs: 1-, 4-, and 8-axis input avail.